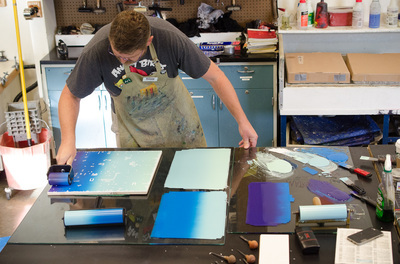 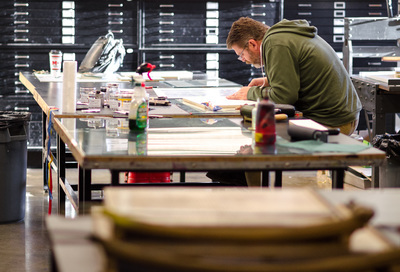 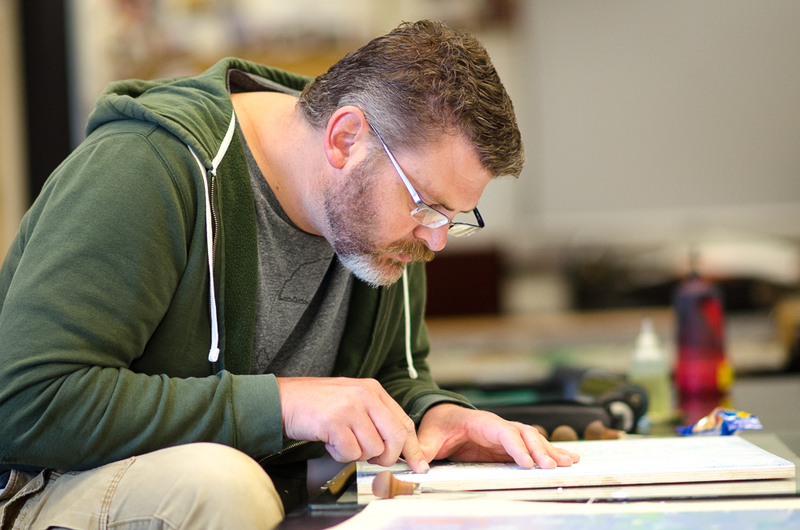 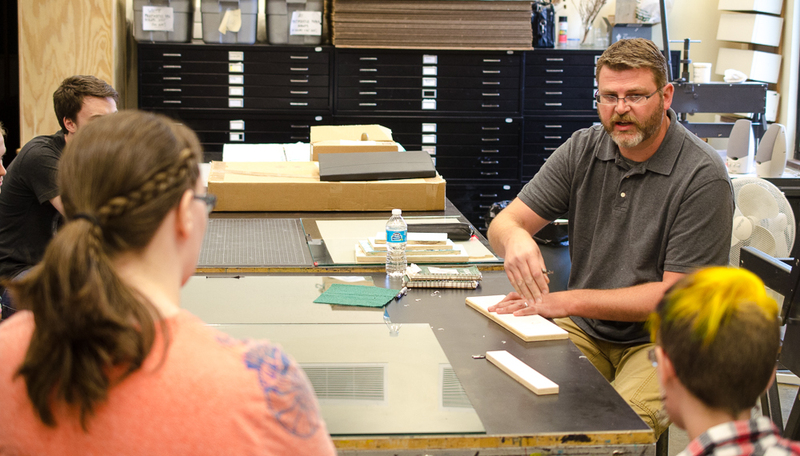 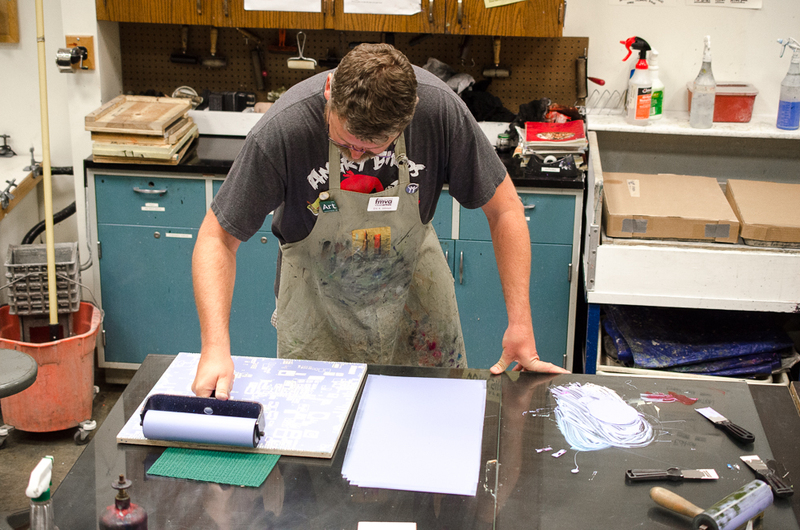 In September 2015, Flat Tail Press hosted Eric A. Johnson, a North Dakota native, and a prolific printmaker. 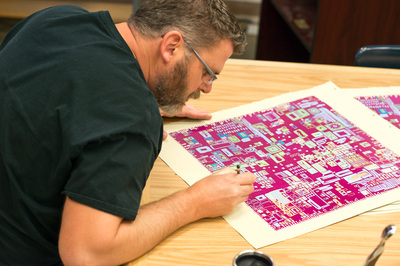 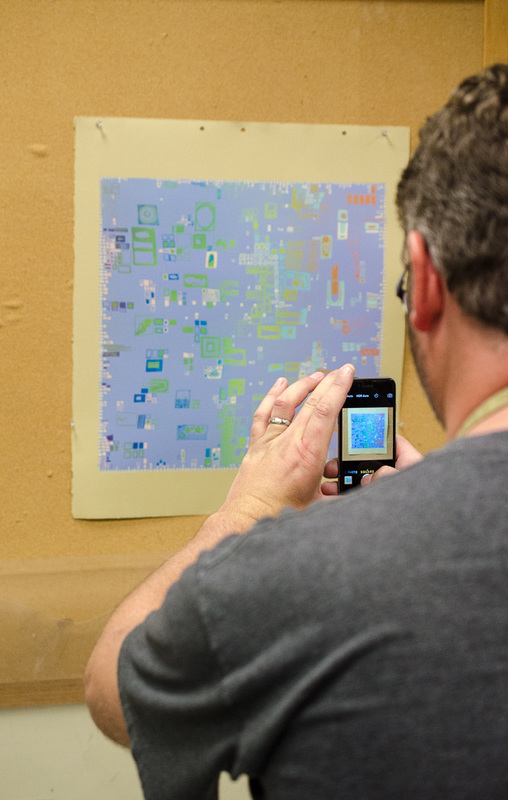 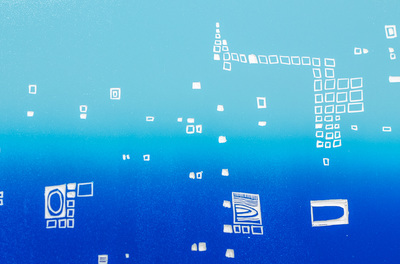 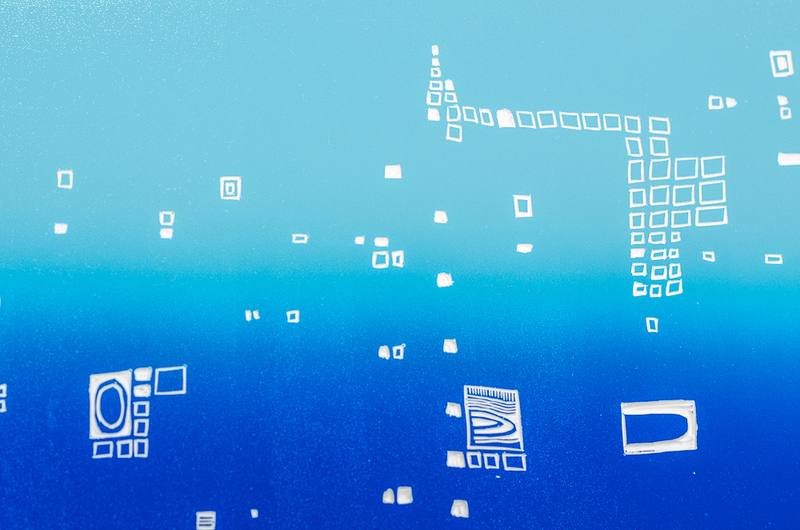 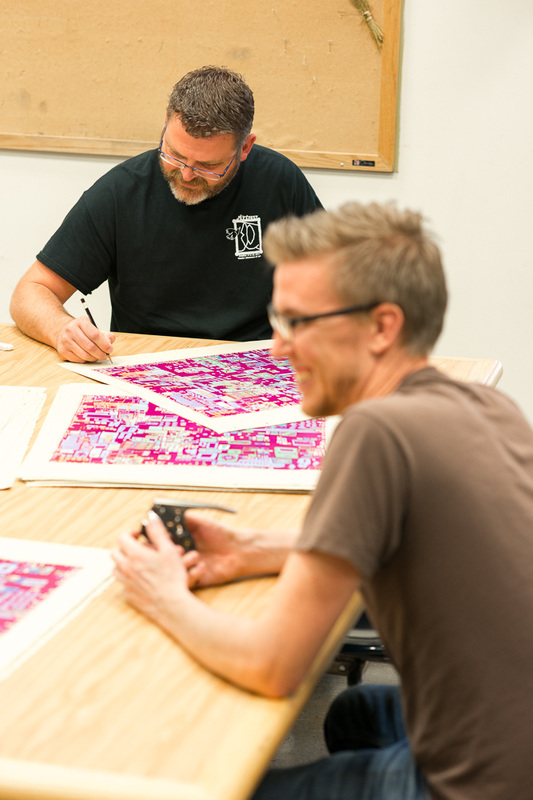 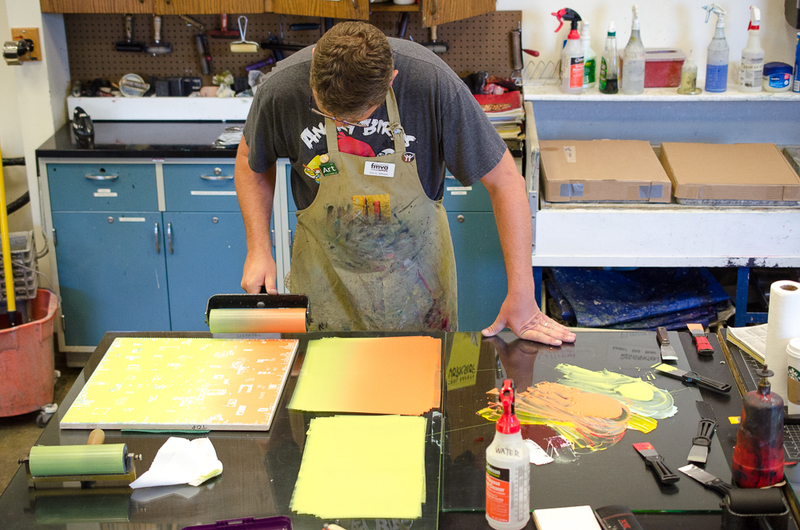 In three days, Eric started and finished a reduction linocut titled, "Drone Screen." 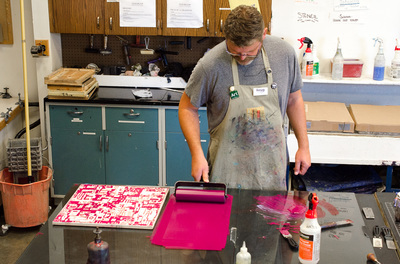 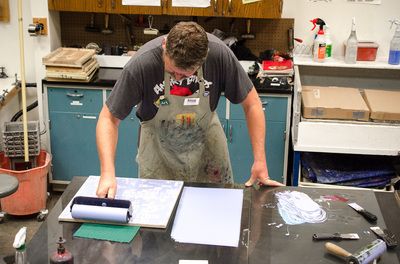 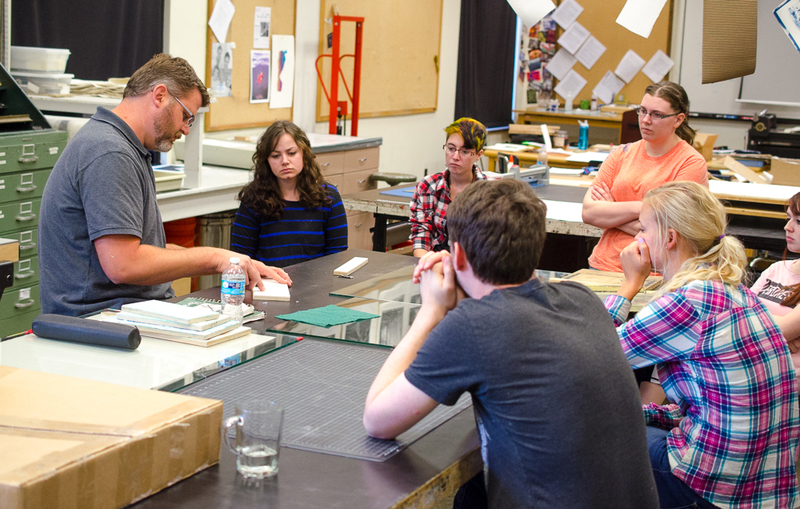 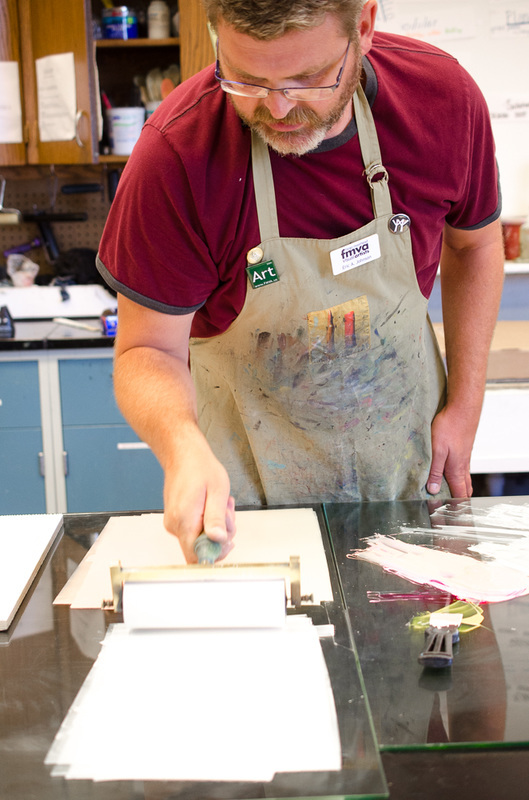 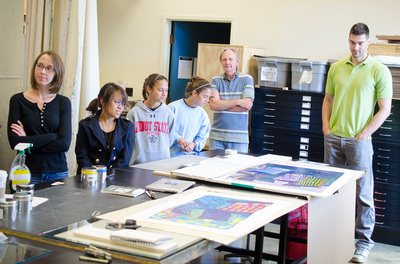 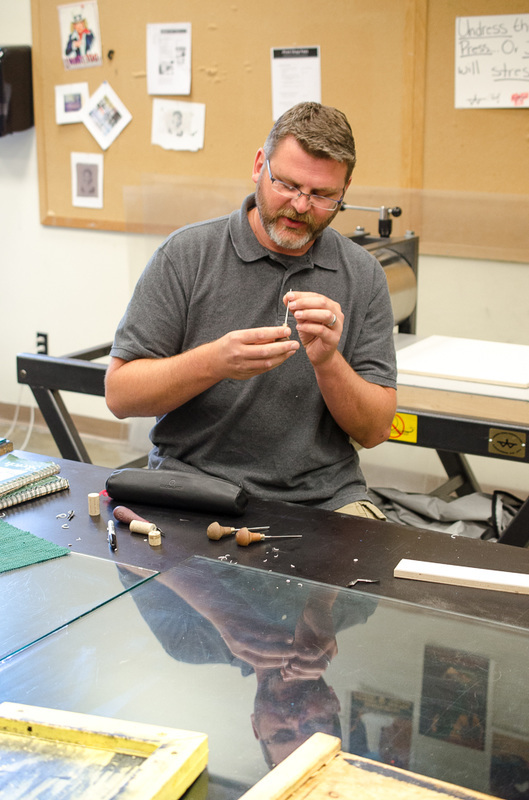 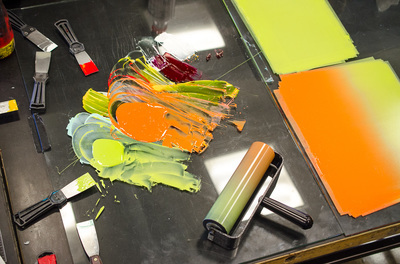 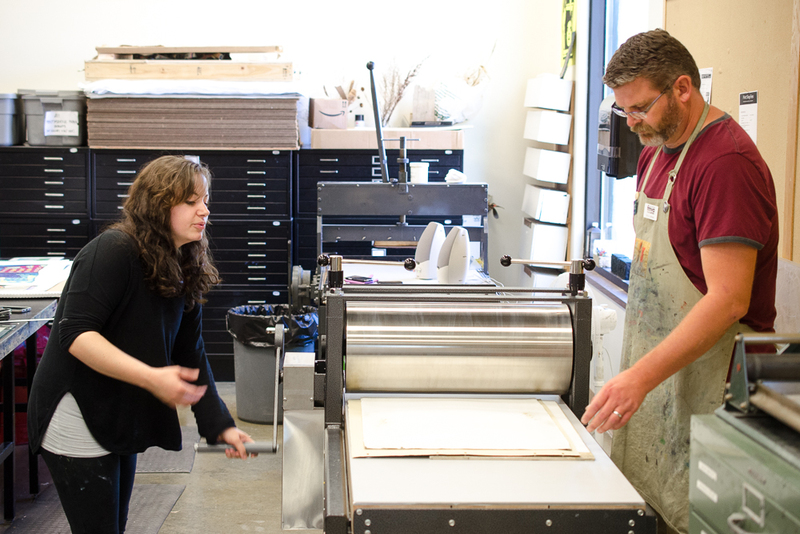 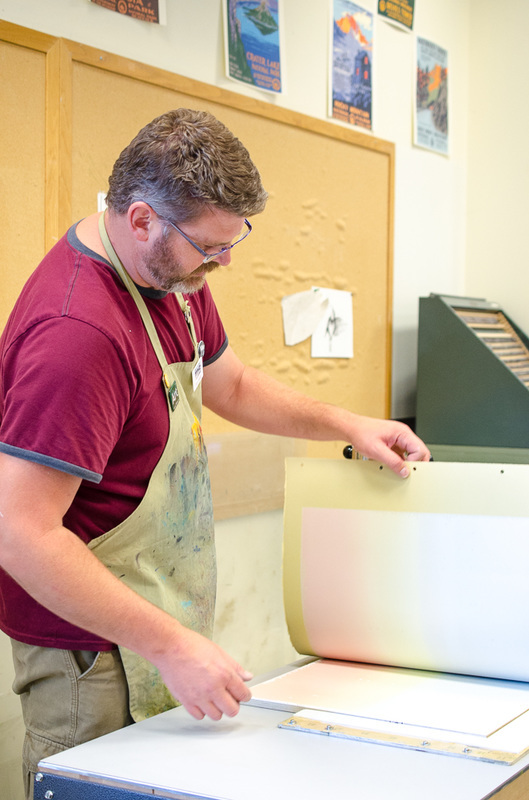 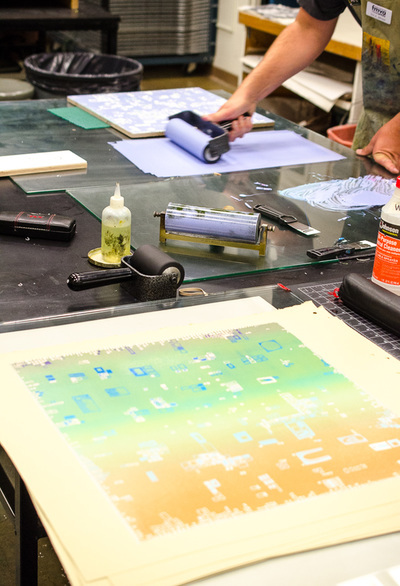 While he was working on the piece he shared tips and tricks of reduction relief printing with the Printmaking I class. Currently Johnson is an adjunct instructor of art at Minnesota State Community and Technical College (Detroit Lakes & Moorhead, MN), and Mayville State University (Mayville, ND). 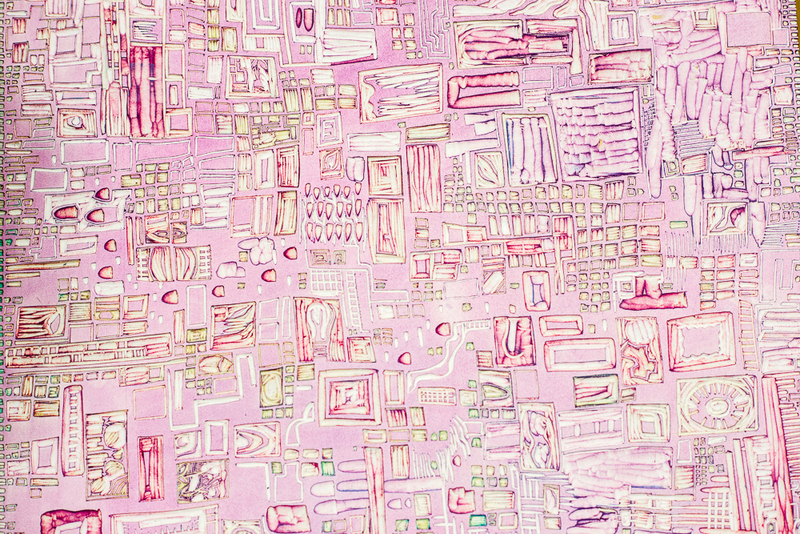 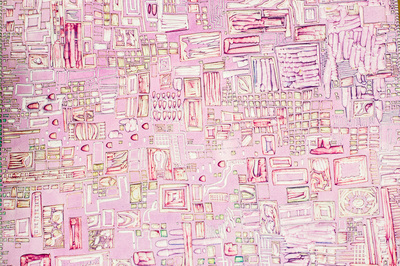 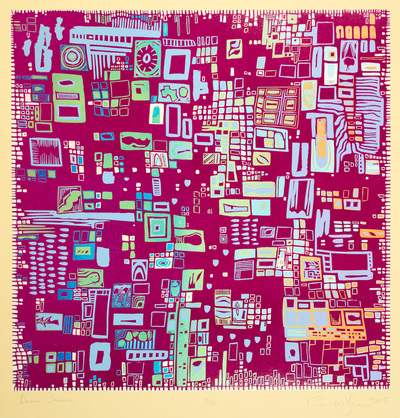 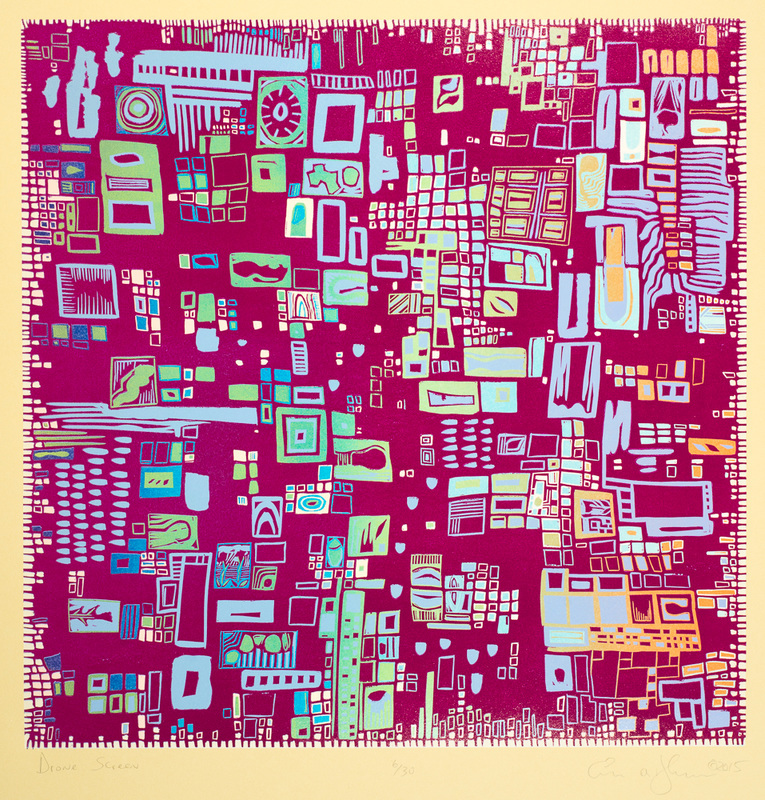 He is a current member and former board member of the FMVA (Fargo Moorhead Visual Artists), a Primary Partner of the Arts Partnership, and is represented by The UpTown Gallery (Fargo, ND). 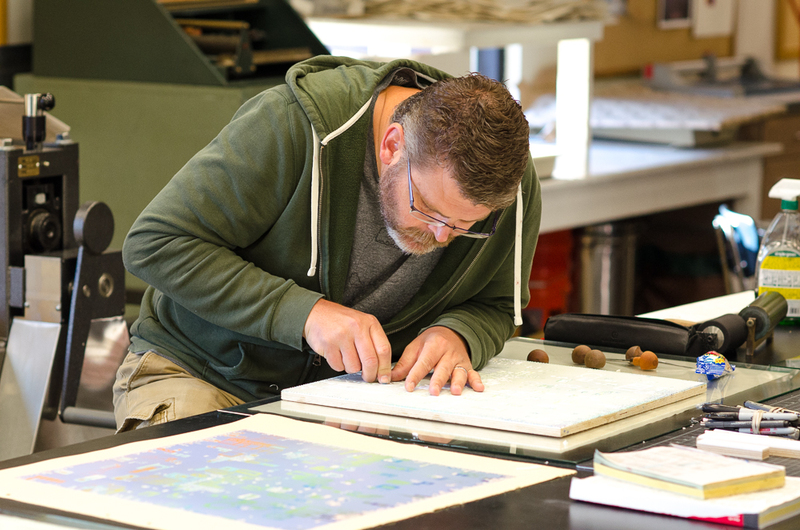 He also has served as Master Printer with the PEARS program on editions by Canadian painter Ken Delgarno and artist Star Wallowing Bull. 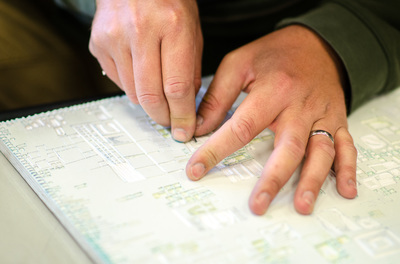 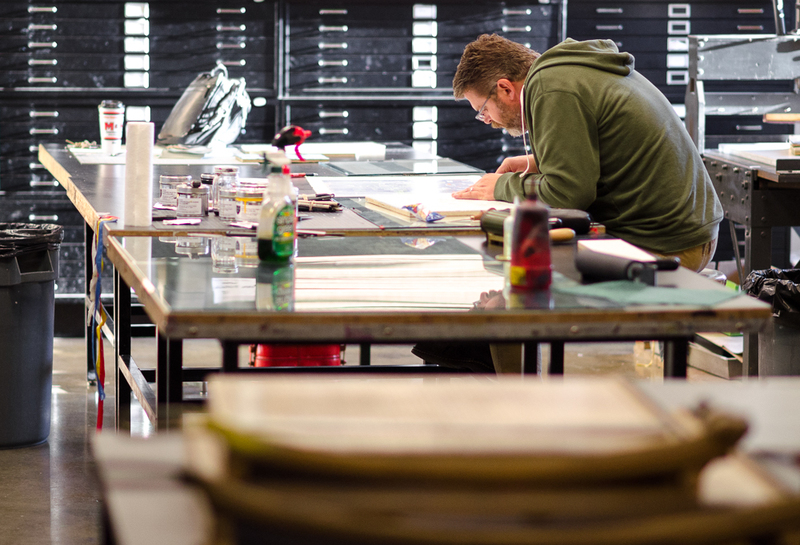 He continues to create and exhibit new work under the label: Big Oak Press.